The limits of technology continue to be pushed as new smaller, faster, and more functional devices are being developed and released nearly every month. These devices can be carried anywhere, but the issue is they are being lost everywhere. But fear not, technology has come to the rescue yet again. There is protection for your gadgets that have gone missing which is especially useful for professional women and men who are frequently traveling for work. Each year thousands of cell phones and laptops are stolen or accidently left at airports. Tracking devices might also be popular amongst students. Cell phones and laptops also go missing on college campuses too. And with more students opting to pursue online degrees the number of lost devices will increase as students travel to different coffee shops and locations to study and complete assignments. 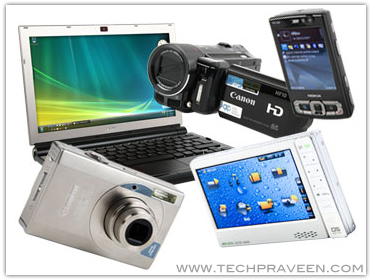 The following software programs are sure to be in demand and save people from headaches when devices turn up missing. The good folks at GadgetTrak have developed a program for the Blackberry that gives owners a handful of options in the event their phone is lost or stolen. When the phone is lost you can send a command via text message that triggers a siren to blast from the phone helping you to locate it or annoy any who has it that shouldn’t. In addition to the siren a master key lock is applied to the buttons. Phone owners have the option of inputting a command that will wipe out all data on the phone device to protect any personal photos or information from being viewed. Before taking that drastic step you can input another command that will send you the location of your missing phone through a GPS latitude and longitude to assist in tracking it down. This program works with the SIM card so if the card is replaced the features are void except for one last attack. Once the SIM card is removed the GPS location and the new cell phone number will be sent to a friend of yours via text message. PC-Trak is a program used to help hunt down lost Windows laptops and costs $25 a year. There is also a version for Mac users. If the laptop is stolen you will have to report it to the company first and the next time the device is turned on the GPS activates. The device can be tracked up to 100 feet of the exact location. The software was developed by Skyhook Wireless Inc. who created a Wi-Fi coverage network across the nation by connecting various hot spots. Once the laptop connects to the wireless routers the location is sent in. The IP address is also recorded and the webcam built into the camera will capture a picture of the thief. The location information is sent back to the owner along with Google map directions. Prey is free for Windows and Mac laptop owners. This software is a mix of GadgetTrak and PC-Trak. It uses text message commands and also includes GPS tracking software and the ability to take a picture of the thief. There is a premium version that will provide the user with the ability to protect up to 500 devices with the security. Austin is an avid blogger, covering topics from sports to online mba programs. He loves to travel and meet new people. That’s really great and this is what we really need. i am not sure about laptops, but mobiles is absolutely true that you leave it everywhere and it is immensely ahrd to spot it. The software should be more promoted and people will be eager to get it.